What Can I Expect From Complete Tree Service? When you hire a complete tree service provider, you want to know the company will be able to meet all of your future needs. Not all providers are equal or thorough in the quality or variety of services they provide. It can be extremely frustrating to hire a company with one list of tasks in mind, only to find out later they won’t fulfill your entire list. So what exactly can you expect from complete tree service? Dangerous tree removal is a big deal because a damaged tree can quickly create an emergency situation. Storms can easily topple trees over, and you never can tell when a leaning tree will come crashing all the way down. Your best course of action is to have a complete tree service company come out and safely remove the tree before it hurts someone or damages your property. Lot clearing is another job perfectly suited to a complete tree service provider. Once you have acquired a lot and decided what to do with it, you will probably need to have a good deal of trees and bushes removed. To speed up your construction schedule, trust a good tree removal service to handle the clearing of your lot. Crown raising is important if you plan on using the area underneath a tree. To raise a tree’s crown means to shorten, thin, or remove lower-hanging branches. 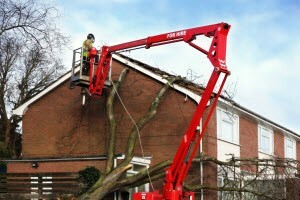 Whether the purpose of the crown raising is to make way for pedestrians, or to clear the view from your house to a stunning vista, a complete tree service will handle the job quickly and professionally. A tree service company that goes above and beyond the norm might deliver firewood to people who want to buy it. After all, not everyone who has a tree removed from their property actually keeps the wood, and it has to go somewhere. Another thing to look for in the best tree service companies is free mulch delivery. With all of the stumps, logs, and branches these companies grind down, they are usually swimming in mulch. 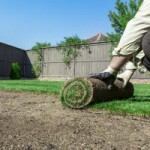 They should be delighted to drop a few yards off at your house – you’ll just have to move and spread it to your gardens. Professional, prompt, and courteous service is the hallmark of all good tree removal services. You should receive a fast response, proof of insurance, a detailed quote, and a satisfaction guarantee. If you don’t – keep shopping for a better service provider. Su-Tree provides all of these services and more to satisfied clients all over the Marietta area. No job is too big or small for our dedicated crew. And because we know your family’s safety is important to you, we will provide same-day service for emergency tree situations. Call Su-Tree at 404-392-6935 for a free estimate on complete tree service.